KazuNori, the first restaurant of its kind, is focused on serving just-made hand rolls, with its crispy nori, warm rice, and delectable ingredients. 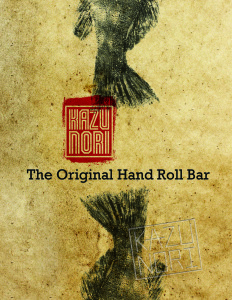 We believe that the experience of eating our hand rolls will redefine what you think about sushi. 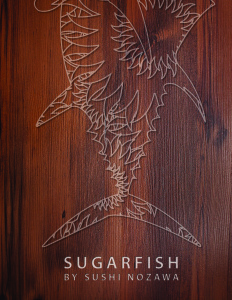 SUGARFISH by sushi nozawa is a different kind of sushi dining experience. Our restaurants serve only traditional sushi of the highest quality based on Chef Nozawa’s style of sushi. 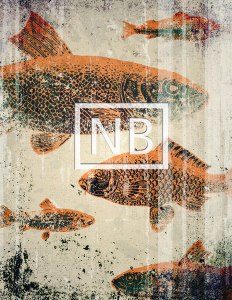 Our passion is to carry forward his great tradition and style of food – which many believe is the best sushi there is. At Nozawa Bar, our aim is to give our guests the experience of the very best tradition-based omakase sushi meal in a very intimate setting. Our multi-course menu — primarily nigiri sushi plus sashimi and handrolls — features many of the more adventurous sushi items that dedicated sushi eaters have come to appreciate.